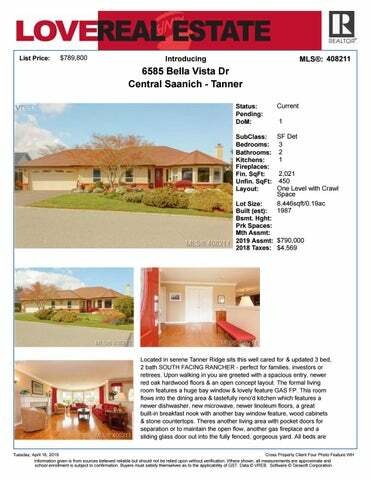 Located in serene Tanner Ridge sits this well cared for & updated 3 bed, 2 bath SOUTH FACING RANCHER - perfect for families, investors or retirees. 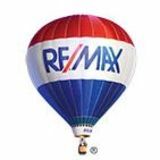 Upon walking in you are greeted with a spacious entry, newer red oak hardwood floors & an open concept layout. The formal living room features a huge bay window & lovely feature GAS FP. This room flows into the dining area & tastefully reno'd kitchen which features a newer dishwasher, new microwave, newer linoleum floors, a great built-in breakfast nook with another bay window feature, wood cabinets & stone countertops. Theres another living area with pocket doors for separation or to maintain the open flow, another gas fireplace and a sliding glass door out into the fully fenced, gorgeous yard. All beds are Tuesday, April 16, 2019 Cross Property Client Four Photo Feature WH Information given is from sources believed reliable but should not be relied upon without verification. Where shown, all measurements are approximate and school enrollment is subject to confirmation. Buyers must satisfy themselves as to the applicability of GST. Data © VREB. Software © Tarasoft Corporation. Electric, Gas Baseboard, Gas Fireplace Fibreglass Shingle Concrete Poured Ground Level Main Floor, Master Bedroom Shape: Irreg. Tuesday, April 16, 2019 Cross Prop Client Detail WH & Photos Information given is from sources believed reliable but should not be relied upon without verification. Where shown, all measurements are approximate and school enrollment is subject to confirmation. Buyers must satisfy themselves as to the applicability of GST. Data © VREB. Software © Tarasoft Corporation. Tuesday, April 16, 2019 Cross Prop Client Detail WH & Photos Information given is from sources believed reliable but should not be relied upon without verification. Where shown, all measurements are approximate and school enrollment is subject to confirmation. Buyers must satisfy themselves as to the applicability of GST. Data ÂŠ VREB. Software ÂŠ Tarasoft Corporation.